Nothing better than a victory to finish off the season, just before going on holidays. Portugal travelled to Geneva (Switzerland) to play a friendly against Croatia and came out with a 0-1 win, thanks to a goal from the inevitable Cristiano Ronaldo. 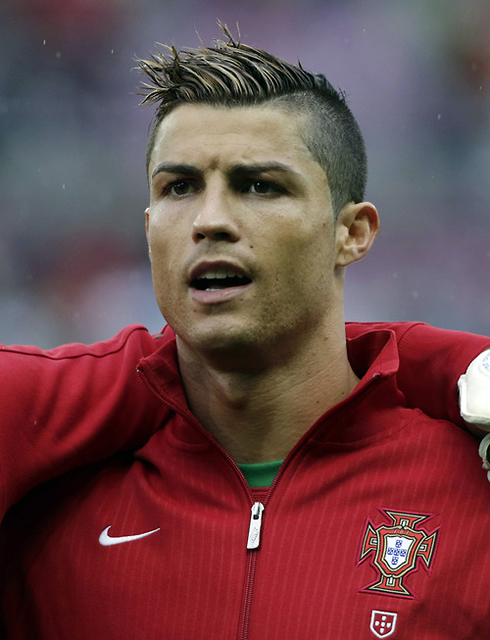 With no more games scheduled until July 22, Cristiano Ronaldo will now enjoy some well deserved vacations. After beating Russia just a few days ago, this Monday afternoon Portugal went to Geneva in Switzerland to face Croatia. 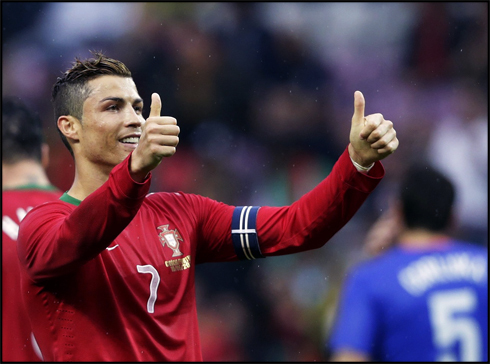 Despite a few predictable rotations in the line-up, the Portuguese National Team pulled it off and picked another 0-1 win, this time with Cristiano Ronaldo stepping up to put his name on the scoresheet. The Portuguese star ended up being subbed at half-time, but saw his teammates holding on to the result in the remaining 45 minutes. 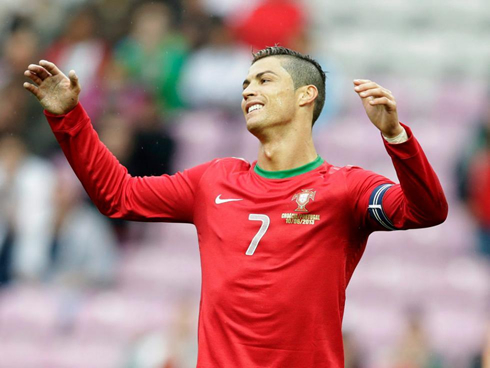 This friendly match basically puts a closure on the current season, which means that Ronaldo will now go on holidays and will only return in mid-July, in time to to start preparing Real Madrid's first pre-season friendly against Galatasaray, on July 22. Portugal and Croatia won't have an easy task to finish their World Cup qualifying groups in first place. The Portuguese face serious competition from Russia in Group F, while Croatia are measuring strengths with Belgium in Group A. Neither Portugal or Croatia have great chances to lift the World Cup trophy next year in Brazil. The Portuguese team payout is currently set at a multiple of 50, while Croatia pays 130€ for every euro gambled. Surely an indication that are other contenders rated as clearly stronger sides these days, despite the presence of world-class players like Cristiano Ronaldo and Luka Modric in these two teams' ranks. The "Stade de Genève" has been the stage picked to host this international friendly and as expected, a lot of Portuguese emigrants came to watch their team playing. Paulo Bento decided to switch a few players from the previous starting eleven and gave an opportunity to the likes of Sílvio, Ricardo Costa, Custódio and Rúben Amorim to show their value. Apart from the defense sector, Cristiano Ronaldo and João Moutinho were the only two players who kept on the line-up from last Friday's game against Russia. Despite the many changes induced into the team by Paulo Bento, the "Lusitanos" responded well on the pitch and were actually the ones who got in front during the first half. Sílvio, the Portuguese right-back this Monday afternoon, ran down the wing to make a low cross into the Croatian area and saw his pass meeting F.C. Porto's winger, Silvestre Varela. The 28-years old midfielder softened it back to Cristiano Ronaldo just so the Real Madrid forward could show all his class. With his first touch he brought the ball inside a couple of meters, got away of the defender's pressure and fired up a precise and strong shot with his left foot. 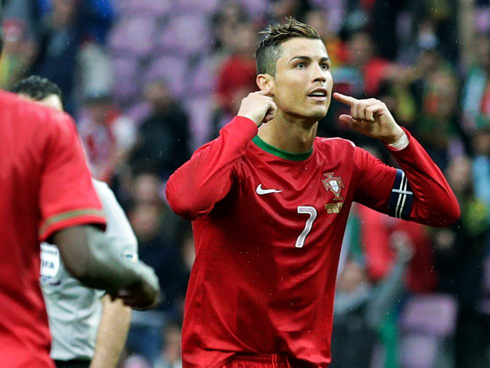 Portugal had just grabbed the lead and Ronaldo knew he had managed to score on his last game of the season. Right after scoring the goal, Cristiano Ronaldo turned into the stands behind the Croatian goalkeeper and with a couple of gestures including pointing to his ear, he criticized some of the Croatian fans who had been chanting for the name of Barcelona's star Lionel Messi, just moments before the goal had taken place. Nevertheless, a few seconds later Ronaldo started applauding those same fans and ironically showed them how much they mean to him. Fans from opposing sides should already know better by now, since CR7 has already proved many times before that when he gets provoked, he tends to perform at his best. Cristiano Ronaldo ended up being subbed during the break, giving his place to Wolfsburg midfielder, Vieirinha. No more goals were to be scored in the second half, meaning that Portugal got away with their second straight 0-1 win, even though there were no points in dispute on this Monday's game. 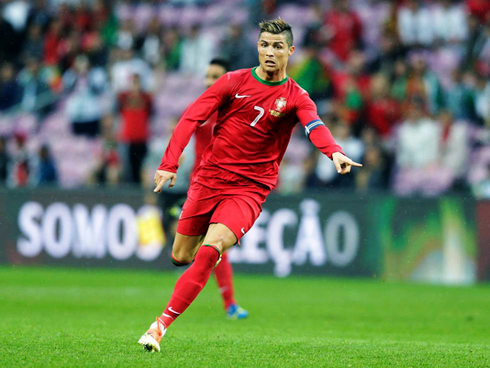 With the goal he scored, Cristiano Ronaldo reached his 39th career goal for Portugal and he's now only 2 below Eusébio (41) and 8 below Pauleta (47). Cristiano Ronaldo is now enjoying some vacations, so he won't be back to Real Madrid until the pre-season kicks off, by July. In the meanwhile, you can watch Galatasaray vs Real Madrid, Spain vs Ireland, Ecuador vs Argentina and USA vs Panama, all matches provided from our soccer live section.